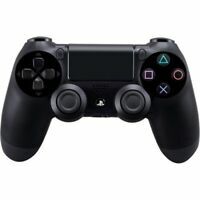 hyperxstore has no other items for sale. The HyperX Cloud II features a redesigned sound card that sparks an exciting gaming experience for players of all skill levels. The Surround Sound 7.1 gives gamers access to 53mm drivers that provide a rich sound. The sound system helps players identify the location of crucial sounds. The HyperX Cloud II also uses digitally enhanced technology that features a noise-canceling microphone and automatic echo filtering. The control box even features independent audio volume control and an independent microphone control. HyperX Cloud II is certified by TeamSpeak and optimized for Skype and other leading chat programs. HyperX Cloud II Headset. This next-generation headset generates virtual 7.1 surround sound with distance and depth to enhance your gaming, movie or music experience. There are 2,749 items available. Please enter a number less than or equal to 2,749. Item as described. Prompt shipping. Excellent transaction. Thank you! Estimated delivery 2-8-19, item arrived today, 2-14-19. Paid on the 28th but didn't ship until the 2nd. Messaged them but took 4 days. I must have watched 30'ish YouTube videos and elsewhere, researching what the First Person Shooter pro gamers were buying and why. These were right up there with $150-300 sets in high praise reviews and at 59 bucks re-certified, I bought them. FIVE STARS. This Cloud II set is light, super comfortable and most importantly, they are literally Game Changing! I switch back and forth on the 7.1 surround not only by game but sometimes by each map. Either mode allows you to hear footsteps and tell where they're coming from. The 7.1 makes the sound map seem larger which is good for tight quarter battles like in some Rainbow 6 Siege maps. Other maps in the same game benefit from the 7.1 being off. You'll have to be the judge. GREAT SOUND. I'm not an audiophile but I think these are nice enough to just be great headphones. The microphone sounds okay to my gaming friends but not as nice as some other sets I've had. The re-certified don't come in the fancy box and are missing the airline jack and carry bag. I don't need either. I love these things and I'm winning more matches because of them. Nuff said. Great headphones, but this isn't a good deal. i wish i'd known this didn't include everything that comes with the retail package. this doesn't include the extra set of velour ear pads, the carrying case, or the airplane adapter. since the retail version is only $20 more for NEW headphones with all the extras, that makes this not a very good deal. but these are great headphones. This headset was tested on PS4 so haven't tried the 7.1 USB adapter. This headset is really really comfortable. Very good sound for a stereo headset. You can easily identify the direction of the sound, so it's great for FPS. Build quality is great, and its very light. The cables are reinforced in a kind of threads, which makes them durable. One thing I didn't liked is that it doesn't have mic monitoring, and you might end up shouting all over the house, because you can't hear yourself speaking. It's a great set overall, and if you can get it on sale, it's a no brainer. 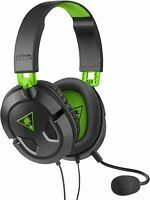 My previous Turtle Beach headset was dying so I wanted something sturdier and of higher quality to replace them. 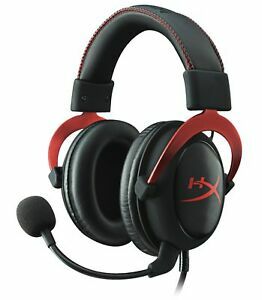 I was looking for an affordable option specifically for HyperX headsets, since higher quality usually means high price tag. I was very happy to find these, but half worried about them being re-certified (I'm not sure if that's the same thing as refurbished). The headset arrived a day early and were packed in a very nice box. They look 100% brand new, just sans the original box. They work great and the sound quality is fantastic. The padding on the headband is a thousand times better than my TB headset (which just had this very narrow, thin, piece of foam in the middle of it). It is significantly heavier than my TB and Razer headsets, which - if you're headache prone like me - can cause some tension in your neck if you wear them for extended periods (I mean like 5+ hours), but they are still super comfortable. I'm super happy with these, especially for the price. I definitely recommend these for people looking for great quality at an affordable price. I have had this headset a few weeks now and have been using it a lot. 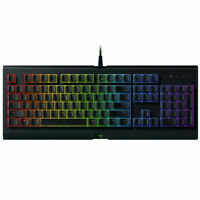 Its very comfortable and the sounds is pretty good for gaming and messing around on the computer. I do feel like the 7.1 is a little weak it could just be me though, the surround sound does work though but I have an older Turtle Beach 5.1 that I feel does a little better job BUT the Turtle Beach is not comfortable for long gaming sessions either. I think the sound could be a little louder but over all its an awesome headset and I would buy another especially for $60.I got this RE-Certified from the Manufacture and was a little weary of it coming with scratches and dings but in my surprise it looks completely new maybe I just got a good 1 but I'm very happy so far with my purchase, Because I have wanted one of these for a long time but didn't want to pay full price since I'm a Budget Buyer.